Please include all the Filipino People, who have valid Philippine passports, in your Visa Waiver Program because they deserve to be welcomed as your Special Guests. 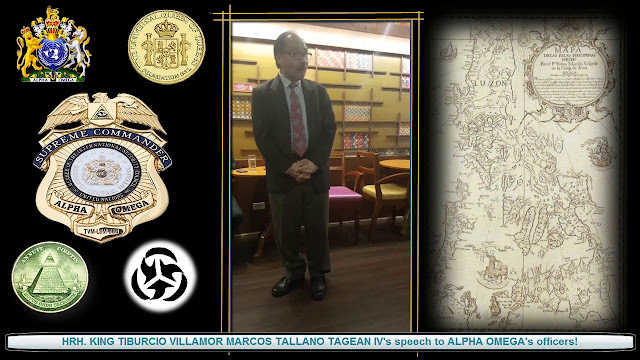 Many Filipinos sacrificed their lives in the Philippines during the Second World War because of the massive Japanese and Nazi Gold, which are now stored in all 13 treasury vaults in the Federal Reserve Banks. The Philippines is the richest country in the world according to Reagan. Refer to my Directive to the U.S. Congress and the European sovereign states about the said Visa Waiver Program via goo.gl/x8rZ7q and goo.gl/L2Ne9y. Please include all the Filipino People, who have valid Philippine passports, in your Visa Waiver Program because they deserve to be welcomed as your Special Guests. Many Filipinos sacrificed their lives in the Philippines during the Second World War because of the massive Japanese and Nazi Gold, which are now stored in all 13 treasury vaults in the Federal Reserve Banks. The Philippines is the richest country in the world according to Reagan. Refer to my Directive to the U.S. Congress and the European sovereign states about the said Visa Waiver Program viagoo.gl/x8rZ7qandgoo.gl/L2Ne9y. “We, the Filipino People, are hard-working, courageous and dignified. Our Noble Mission is to fully eradicate abject poverty. 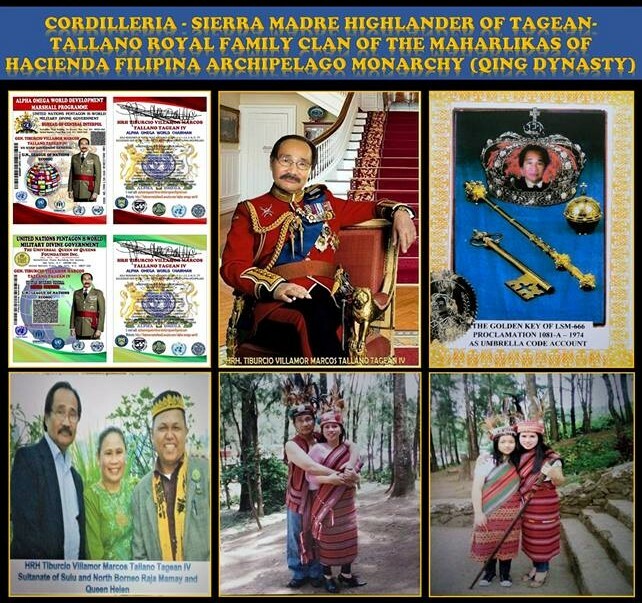 I AND MY DIRECTOR GENERALS / PROVOST MARSHALLS OF THE AOWDMP DESIGNATE THE PEOPLE OF THE PHILIPPINES AS THE BANKROLLERS OF ALL 13 FEDERAL RESERVE BANKS AND THE OTHER COMMERCIAL BANKS FOR THE FULL IMPLEMENTATION OF THE DIVINE MASTER PLAN FOR THE NEW WORLD SOCIETY BASED ON MY ROYAL FAMILY’S VAST WEALTH FOR HUMANITY. The Philippine Supreme Court delayed the meritorious CLASS SUIT, which was filed last February 9, 2017, demonstrating denial of justice to the complainants most especially the People of the Philippines. In The Art of Making Money: The Story of a Master Counterfeiter (2009), author Jason Kersten wrote that during the early days of the United States, counterfeiters were hanged. Because the crime was considered so heinous, the first American currency, the continental, bore this ominous warning: “Tis death to counterfeit” (goo.gl/icLiwF). Although I am the Chairperson of the Committee of 300, I deemed it necessary to solve the big problem legally and peacefully instead of exercising the Committee’s supreme extrajudicial powers worldwide. The Philippine Supreme Court delayed the meritorious CLASS SUIT, which was filed last February 9, 2017, demonstrating denial of justice to the complainants most especially the People of the Philippines. In The Art of Making Money: The Story of a Master Counterfeiter (2009), author Jason Kersten wrote that during the early days of the United States, counterfeiters were hanged. Because the crime was considered so heinous, the first American currency, the continental, bore this ominous warning: “Tis death to counterfeit” (goo.gl/icLiwF). Although I am the Chairperson of the Committee of 300, I deemed it necessary to solve the big problem legally and peacefully instead of exercising the Committee’s supreme extrajudicial powers worldwide. 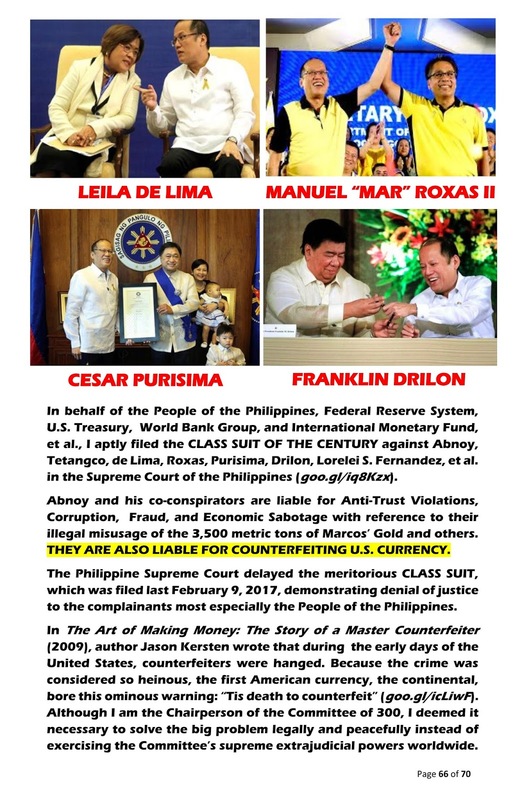 In behalf of the People of the Philippines, Federal Reserve System, U.S. Treasury, World Bank Group, and International Monetary Fund, et al., I aptly filed the CLASS SUIT OF THE CENTURY against Abnoy, Tetangco, de Lima, Roxas, Purisima, Drilon, Lorelei S. Fernandez, et al. in the Supreme Court of the Philippines (goo.gl/iq8Kzx). 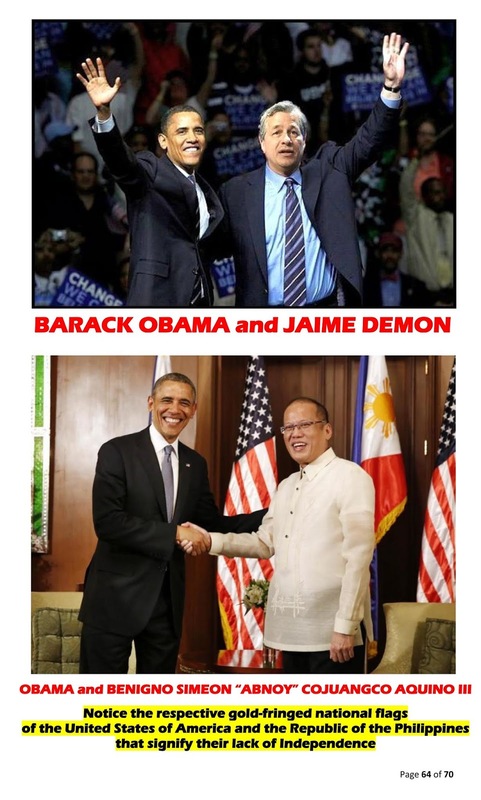 Abnoy and his co-conspirators are liable for Anti-Trust Violations, Corruption, Fraud, and Economic Sabotage with reference to their illegal misusage of the 3,500 metric tons of Marcos’ Gold and others. THEY ARE ALSO LIABLE FOR COUNTERFEITING U.S. CURRENCY. 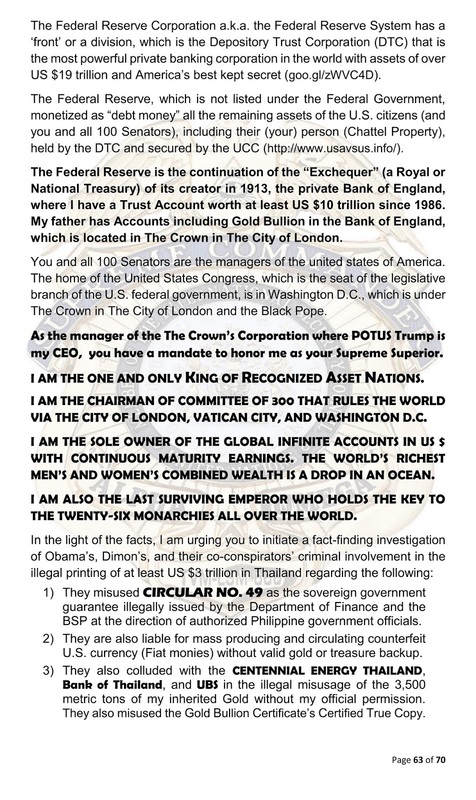 In behalf of the People of the Philippines, Federal Reserve System, U.S. Treasury, World Bank Group, and International Monetary Fund, et al., I aptly filed the CLASS SUIT OF THE CENTURY against Abnoy, Tetangco, de Lima, Roxas, Purisima, Drilon, Lorelei S. Fernandez, et al. in the Supreme Court of the Philippines(goo.gl/iq8Kzx). Abnoy and his co-conspirators are liable for Anti-Trust Violations, Corruption, Fraud, and Economic Sabotage with reference to their illegal misusage of the 3,500 metric tons of Marcos’ Gold and others. THEY ARE ALSO LIABLE FOR COUNTERFEITING U.S. CURRENCY. In the light of the facts, I am urging you to initiate a fact-finding investigation of Obama’s, Dimon’s, and their co-conspirators’ criminal involvement in the illegal printing of at least US $3 trillion in Thailand regarding the following: 1) They misused CIRCULAR NO. 49 as the sovereign government guarantee illegally issued by the Department of Finance and the BSP at the direction of authorized Philippine government officials. 2) They are also liable for mass producing and circulating counterfeit U.S. currency (Fiat monies) without valid gold or treasure backup. 3) They also colluded with the CENTENNIAL ENERGY THAILAND, Bank of Thailand, and UBS in the illegal misusage of the 3,500 metric tons of my inherited Gold without my official permission. 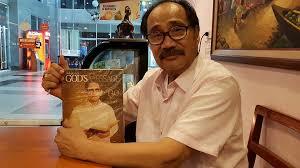 They also misused the Gold Bullion Certificate’s Certified True Copy. 1) They misused CIRCULAR NO. 49 as the sovereign government guarantee illegally issued by the Department of Finance and the BSP at the direction of authorized Philippine government officials. 2) They are also liable for mass producing and circulating counterfeit U.S. currency (Fiat monies) without valid gold or treasure backup. 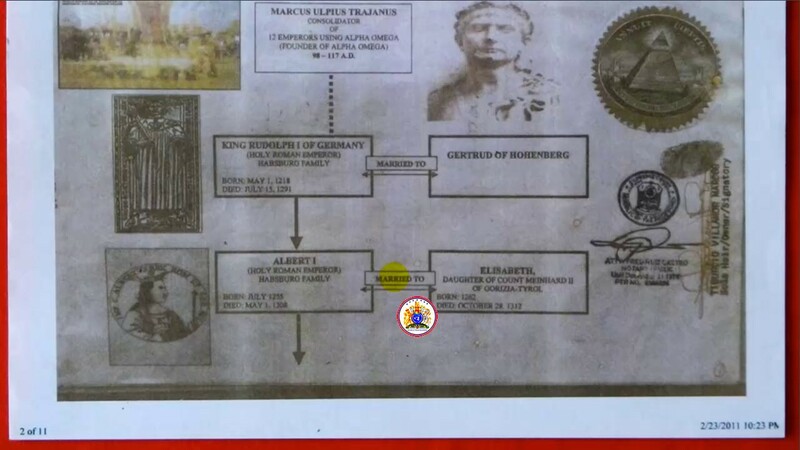 3) They also colluded with the CENTENNIAL ENERGY THAILAND, Bank of Thailand, and UBS in the illegal mis usage of the 3,500 metric tons of my inherited Gold without my official permission. They also misused the Gold Bullion Certificate’s Certified True Copy. As the manager of the The Crown’s Corporation where POTUS Trump is my CEO, you have a mandate to honor me as your Supreme Superior. I AM THE ONE AND ONLY KING OF RECOGNIZED ASSET NATIONS. I AM THE CHAIRMAN OF COMMITTEE OF 300 THAT RULES THE WORLD VIA THE CITY OF LONDON, VATICAN CITY, AND WASHINGTON D.C. I AM THE SOLE OWNER OF THE GLOBAL INFINITE ACCOUNTS IN US $ WITH CONTINUOUS MATURITY EARNINGS. THE WORLD’S RICHEST MEN’S AND WOMEN’S COMBINED WEALTH IS A DROP IN AN OCEAN. I AM ALSO THE LAST SURVIVING EMPEROR WHO HOLDS THE KEY TO THE TWENTY-SIX MONARCHIES ALL OVER THE WORLD. As the manager of the The Crown’s Corporation where POTUS Trump is my CEO, you have a mandate to honor me as your Supreme Superior. I AM THE ONE AND ONLY KING OF RECOGNIZED ASSET NATIONS. 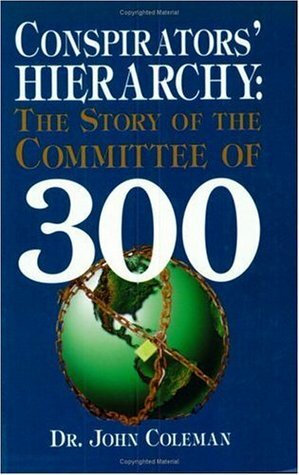 I AM THE CHAIRMAN OF COMMITTEE OF 300 THAT RULES THE WORLD VIA THE CITY OF LONDON, VATICAN CITY, AND WASHINGTON D.C. I AM THE SOLE OWNER OF THE GLOBAL INFINITE ACCOUNTS IN US $ WITH CONTINUOUS MATURITY EARNINGS. THE WORLD’S RICHEST MEN’S AND WOMEN’S COMBINED WEALTH IS A DROP IN AN OCEAN. I AM ALSO THE LAST SURVIVING EMPEROR WHO HOLDS THE KEY TO THE TWENTY-SIX MONARCHIES ALL OVER THE WORLD. The Federal Reserve is the continuation of the “Exchequer” (a Royal or National Treasury) of its creator in 1913, the private Bank of England, where I have a Trust Account worth at least US $10 trillion since 1986. My father has Accounts including Gold Bullion in the Bank of England, which is located in The Crown in The City of London. You and all 100 Senators are the managers of the united states of America. The home of the United States Congress, which is the seat of the legislative branch of the U.S. federal government, is in Washington D.C., which is under The Crown in The City of London and the Black Pope. The Federal Reserve is the continuation of the “Exchequer” (a Royal or National Treasury) of its creator in 1913, the private Bank of England, where I have a Trust Account worth at least US $10 trillion since 1986. My father has Accounts including Gold Bullion in the Bank of England, which is located in The Crown in The City of London. You and all 100 Senators are the managers of the united states of America. The home of the United States Congress, which is the seat of the legislative branch of the U.S. federal government, is in Washington D.C., which is under The Crown in The City of London and the Black Pope. 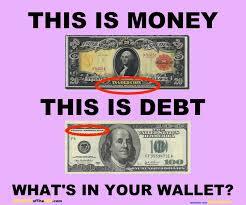 The Federal Reserve, which is not listed under the Federal Government, monetized as “debt money” all the remaining assets of the U.S. citizens (and you and all 100 Senators), including their (your) person (Chattel Property), held by the DTC and secured by the UCC (http://www.usavsus.info/). The Federal Reserve Corporation a.k.a. the Federal Reserve System has a ‘front’ or a division, which is the Depository Trust Corporation (DTC) that is the most powerful private banking corporation in the world with assets of over US $19 trillion and America’s best kept secret (goo.gl/zWVC4D). Based on the United States Code, Title 28, in Section 3002 Definitions, it states this fact: (15) “United States” means – (A) a Federal corporation. Icke also exposes that the United States of America, which is not a country, is owned by the Virginia Company’s predecessors. For Icke, the Vatican is the owner of the assets apparently owned by the Company (goo.gl/5kNxTp). 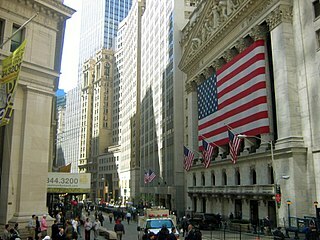 As the privately-owned Corporation, the United States is a holding company and the 50 states are its subsidiaries according to Icke (goo.gl/SF5B43). You are the Vice President of the United States Corporation, which is owned by The Crown (and the Vatican), and Senators are the subsidiaries’ managers. Based on the United States Code, Title 28, in Section 3002 Definitions, it states this fact: (15) “United States” means – (A) a Federal corporation. Icke also exposes that the United States of America, which is not a country, is owned by the Virginia Company’s predecessors. For Icke, the Vatican is the owner of the assets apparently owned by the Company (goo.gl/5kNxTp). As the privately-owned Corporation, the United States is a holding company and the 50 states are its subsidiaries according to Icke (goo.gl/SF5B43). You are the Vice President of the United States Corporation, which is owned by The Crown (and the Vatican), and Senators are the subsidiaries’ managers. 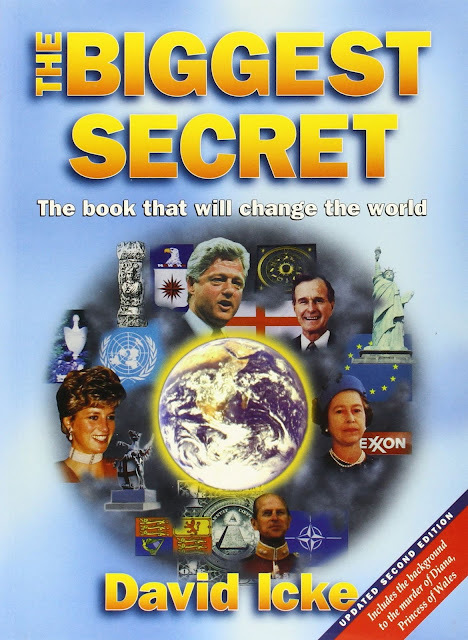 In The Biggest Secret (1999), David Icke revealed that there are two USAs: a USA and a usA. The united states of America with a lower case ‘u” and ‘s’ are the lands of the various states, which are still owned by the British Crown as the head of the old Virginia Company chartered by King James I in 1606 to establish a colony in North America. The United States of America with capital ‘U’ and ‘S’ refers to the federal capital, Washington District of Columbia. For Icke, the old Virginia Company of London simply changed its name to the United States of America in the 18th century. The USA is the Virginia Company! In The Biggest Secret (1999), David Icke revealed that there are two USAs: a USA and a usA. The united states of America with a lower case ‘u” and ‘s’ are the lands of the various states, which are still owned by the British Crown as the head of the old Virginia Company chartered by King James I in 1606 to establish a colony in North America. The United States of America with capital ‘U’ and ‘S’ refers to the federal capital, Washington District of Columbia. For Icke, the old Virginia Company of London simply changed its name to the United States of America in the 18th century. The USA is the Virginia Company! The national flag of the United States has the gold fringe when displayed behind Trump as shown in the photo above. The gold fringe is not part of the American flag known as the Stars and Stripes. Under the International Law on Flags, a gold fringe indicates the jurisdiction of the British Maritime or Admiralty Law and in the U.S., as the Uniform Commercial Code [UCC]. A gold fringed flag means suspension of captives’ constitutional rights. Based on the United States Code, Title 18 B7, the Admiralty Jurisdiction is applicable to the following locations (goo.gl/SF5B43): 1) the high seas 2) any American ship 3) any lands reserved or acquired for the use of the United States, and under the exclusive jurisdiction or concurrent jurisdiction thereof, or any place purchased or otherwise acquired by the United States by consent of the legislature of the state. In other words, mainland America. As shown by Trump’s picture above, the gold fringe along the American flag’s borders or which surrounds the flag signifies the United States of America in captivity and under the exclusive jurisdiction of Great Britain. 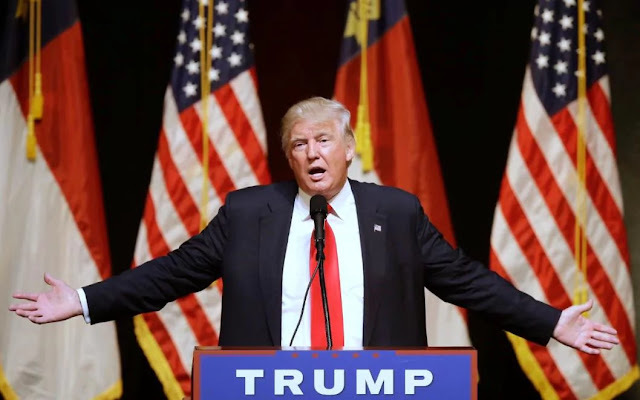 The national flag of the United States has the gold fringe when displayed behind Trump as shown in the photo above. Admiralty Jurisdiction is applicable to the following locations (goo.gl/SF5B43): 1) the high seas 2) any American ship 3) any lands reserved or acquired for the use of the United States, and under the exclusive jurisdiction or concurrent jurisdiction thereof, or any place purchased or otherwise acquired by the United States by consent of the legislature of the state. In other words, mainland America. 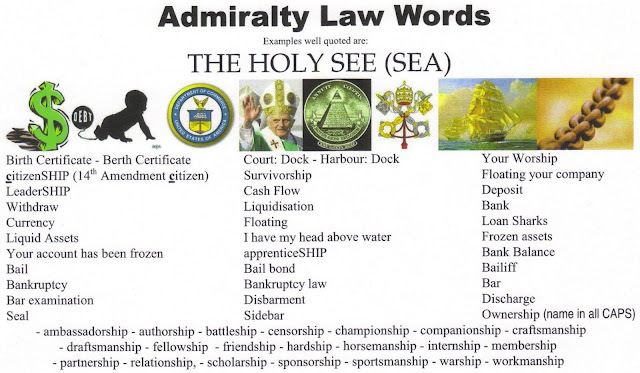 In fact, the Law of Banking is known as International Maritime Admiralty Law, which was based on VATICAN Canon Law. For Garrett, all the “War Banks”, the Central Banks, are controlled from the SMOM-controlled Switzerland. 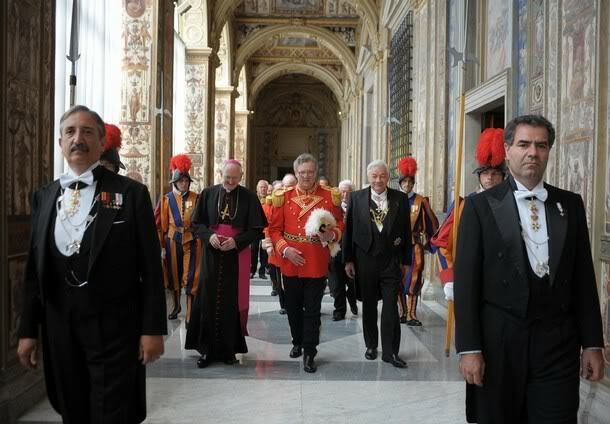 The RIIA created in 1919 the Sovereign Military Order of Malta (SMOM). The RIIA and the SMOM control the United States Corporation. The RIIA created in 1919 the Sovereign Military Order of Malta (SMOM). The RIIA and the SMOM control the United States Corporation. POTUS, who is is the Chief Executive (President) of the United States Corporation, governs with his Board of Directors (cabinet officials) and managers (Senators). As “vassal king”, POTUS Trump is subservient to The City of London via the Royal Institute of International Affairs (RIIA), which was created in 1919 by the Illuminati that was founded by The Society of Jesus or Jesuits who are the largest Roman Catholic Religious Military Order headed by the Black Pope (who is superior to the White Pope). The Jesuits control the Council on Foreign Relations. 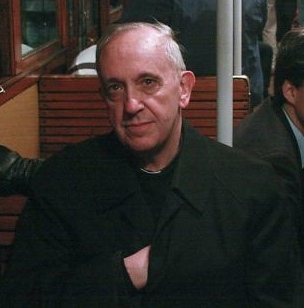 I myself was the Black Pope from the late 1970s to early 1980s! POTUS, who is is the Chief Executive (President) of the United States Corporation, governs with his Board of Directors (cabinet officials) and managers (Senators). The Society of Jesus or Jesuits who are the largest Roman Catholic Religious Military Order headed by the Black Pope (who is superior to the White Pope). The Jesuits control the Council on Foreign Relations. I myself was the Black Pope from the late 1970s to early 1980s! 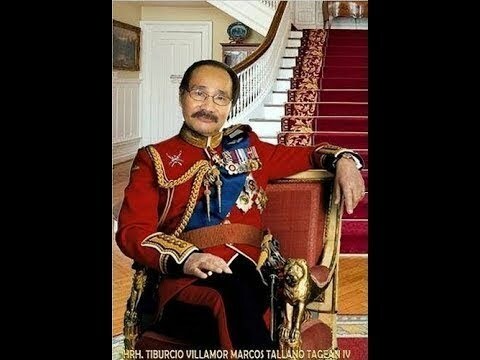 H.M. KING TIBURCIO VILLAMOR MARCOS TALLANO TAGEAN IV. The flag of Washington D.C. has 3 red stars, each symbolizing a city state within one interlocking empire called “Empire of the City”, which consists of Washington D.C. (Military Powerhouse), the City of London Corporation (Financial Powerhouse), and the Vatican City (Controller of two city states). Washington D.C. operates under tyrannical Vatican law - “Lex Fori” (local law). The Act of 1871 reverted the U.S.A. to the British rule through The City of London, which is under the Black Pope. The flag of Washington D.C. has 3 red stars, each symbolizing a city state within one interlocking empire called “Empire of the City”, which consists ofWashington D.C. (Military Powerhouse), theCity of London Corporation (Financial Powerhouse), and the Vatican City (Controller of two city states). Washington D.C. operates under tyrannical Vatican law - “Lex Fori” (local law). The Act of 1871 reverted the U.S.A. to the British rule through The City of London, which is underthe Black Pope. 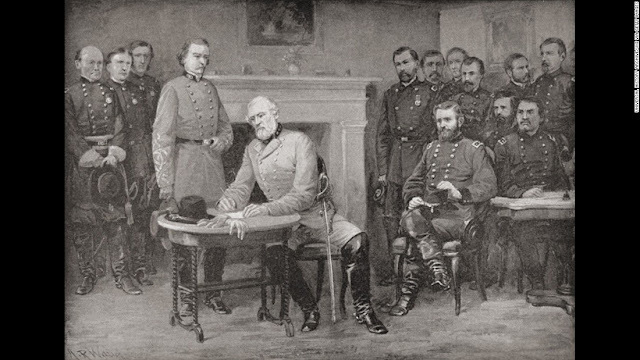 The Congress made a financial deal with the Rothschilds who enslaved the floundering nation smashed by the American Civil War from 1861 to 1865. The Congress ended the American Independence when the Act of 1871 was passed, creating the Washington District of Columbia, which is a city state (a state within the State of Washington) with its own flag and its own Constitution (“Lex Fori”) – the United States’ secret second Constitution. The Congress made a financial deal with the Rothschilds who enslaved the floundering nation smashed by the American Civil War from 1861 to 1865. The Congress ended the American Independence when the Act of 1871 was passed, creating the Washington District of Columbia,which is a city state (a state within the State of Washington) with its own flag and its own Constitution (“Lex Fori”) – the United States’ secret second Constitution. According to Wikipedia, United States Declaration of Independence is an important document in the history of the United States of America. On July 4, 1776, the Americans claimed their Independence, thinking that Democracy was born when they were no longer under the British Empire. With reference to the online article entitled The Two U.S. Constitutions, when the United States was in dire financial straits, the Rothschilds of London, who were the international bankers, devised a way of taking back control of the United States through the passage of “the Act of 1871” (goo.gl/hudMon). According to Wikipedia, United States Declaration of Independence is an important document in the history of the United States of America. 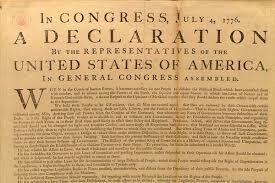 On July 4, 1776, the Americans claimed their Independence, thinking that Democracy was born when they were no longer under the British Empire. With reference to the online article entitled The Two U.S. Constitutions, when the United States was in dire financial straits, the Rothschilds of London, who were the international bankers, devised a way of taking back control of the United States through the passage of “the Act of 1871” (goo.gl/hudMon). Obama must read Dr. John Coleman’s book “The Conspirators’ Hierarchy: The Story of the Committee of 300”, so that he would learn about JFK who was assassinated in 1963 by Queen Elizabeth II’s Pest Controller. “Perhaps President Kennedy's assassination was a warning to future presidents not to interfere with the private Federal Reserve's control over the creation of money” (goo.gl/kn4ZGQ). Obama must read Dr. John Coleman’s book “The Conspirators’ Hierarchy: The Story of the Committee of 300”, so that he would learn about JFK who was assassinated in 1963 by Queen Elizabeth II’s Pest Controller. “Perhaps President Kennedy's assassination was a warning to future presidents not to interfere with the private Federal Reserve's control over the creation of money”(goo.gl/kn4ZGQ). As a CIA agent, Barack Obama could have played the role of a fictional character of “Osama bin Laden” in the so-called 9/11 terrorist attacks. Obama rhymes with “Osama” and “bin Laden” with his Vice President, Biden. The Obama-Biden bromance could have christened Obama’s character of “Osama bin Laden”. I am the Funder of Central Intelligence Agency (CIA)! As a CIA agent, Barack Obama could have played the role of a fictional character of “Osama bin Laden” in the so-called 9/11 terrorist attacks. Obama rhymes with “Osama” and “bin Laden” with his Vice President, Biden. The Obama-Biden bromance could have christened Obama’s character of “Osama bin Laden”. I am the Funder of Central Intelligence Agency (CIA)! “The Bush family and J.P. Morgan are the political and financial dynasties evolved from their original ownership of the Federal Reserve” (goo.gl/f1sNqf). In fact, Bush, J.P. Morgan and five other family banking institutions own the Fed in partnership with the House of Rothschild whose estimated net worth ranging from US $500 billion in personal assets to US $100 trillion in financial assets would pale in comparison with my massive Global Assets.